Newton Bill returns in the free-to-play driving game Hill Climb Racing 2 as he faces new challenges in unique environments that have little respect to the laws of physics. 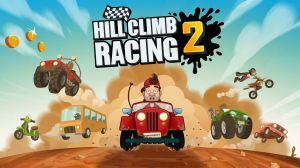 Hill Climb Racing 2 takes the sequel to new heights with the introduction of asynchronous online multiplayer. The game is available free on Android and iOS. No discussions open for Hill Climb Racing 2 at the moment.